Genuine Army Surplus British Military Issue. Brand new and unissued - may or may not be in t.. 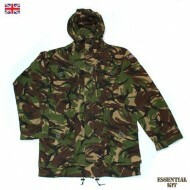 Combat Soldier 95 (CS95) British Military Issue. May have name/numbers on labels/inside clothing. May still have badges affixed.